Don’t let valentine day just pass by... An amazing chance to win a Diamond Pendent for your loved one and a Romantic drive in BMW... Make your evening a memorable one !!! 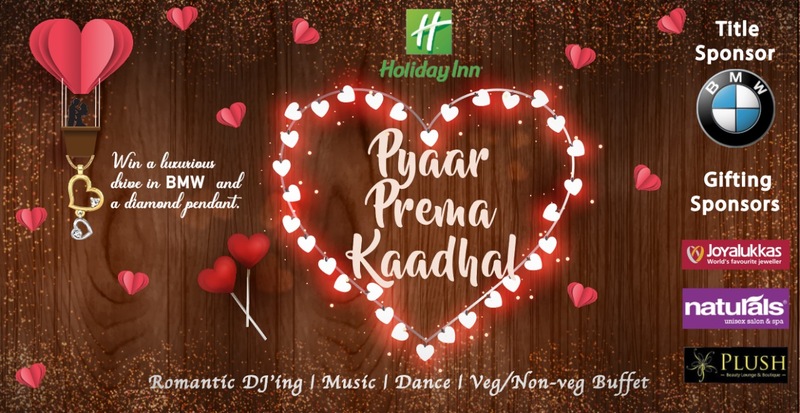 Join our wonderful event Pyaar Prema Kaadhal and leave it to us to make it the most magical night of the year for you and your loved one !! Gifting Sponsor - Joyalukkas, Naturals and Plush boutique and beauty lounge.